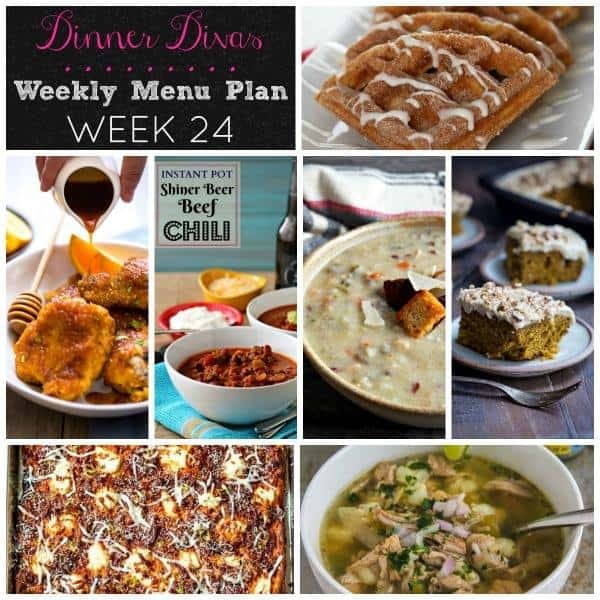 Week 24 of the Dinner Divas Weekly Meal Plan post series has commenced! Fire up those slow cookers, grab your Instant Pot or pressure cooker, unearth your waffle iron and let’s get ready to hit it! 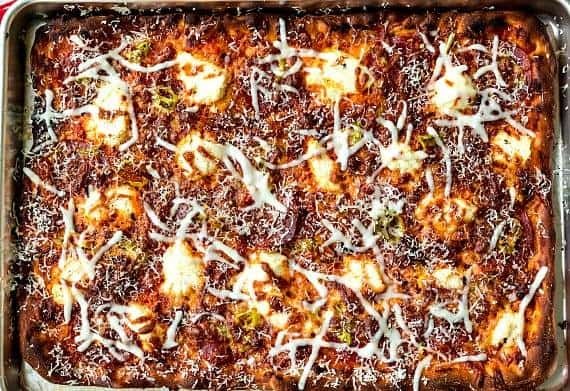 So many comfort food dishes this week as well as Pizza Friday (yay!) 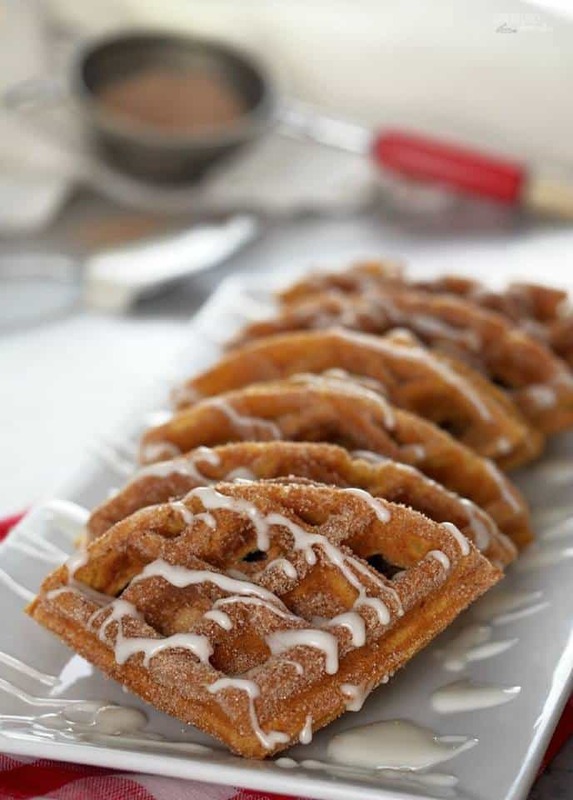 and fun extras: Pumpkin Churro Waffles (hello! ), and Bourbon Chai Pumpkin Snack Cake. Y’all, if this is the first week you’ve joined us, you picked a good one. And if you’ve been with the Divas since the beginning, welcome back! Either way, don’t forget to grab all the recipes from our weekly meal plan archives. Honey Baked Chicken from The Girl in the Little Red Kitchen. 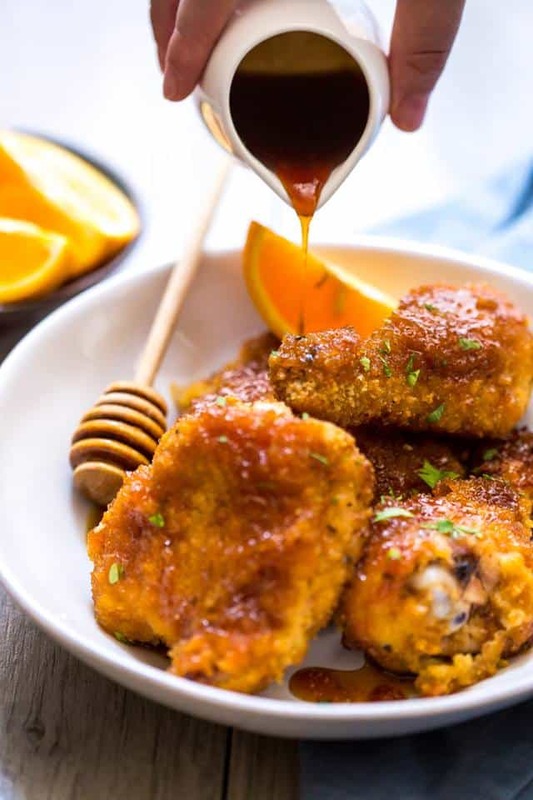 Lightly breaded and then drizzled with a honey citrus soy glaze? Yeah, this one will start the week off right! Thank you Susan! 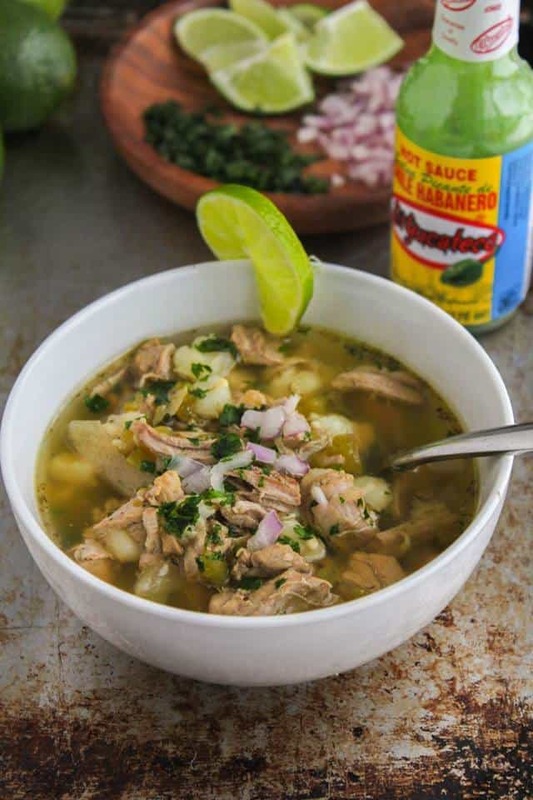 Slow Cooker Spicy Posole Verde from The Chef Next Door. Y’all, I love me some posole. I’m loving Sarah’s slow cooker version with tender pork, hominy (I love thee, hominy) and green chiles, it is delicious. It’s a fun dish too, because you can garnish it in all sorts of ways. Great party food. Or food for a Tuesday! 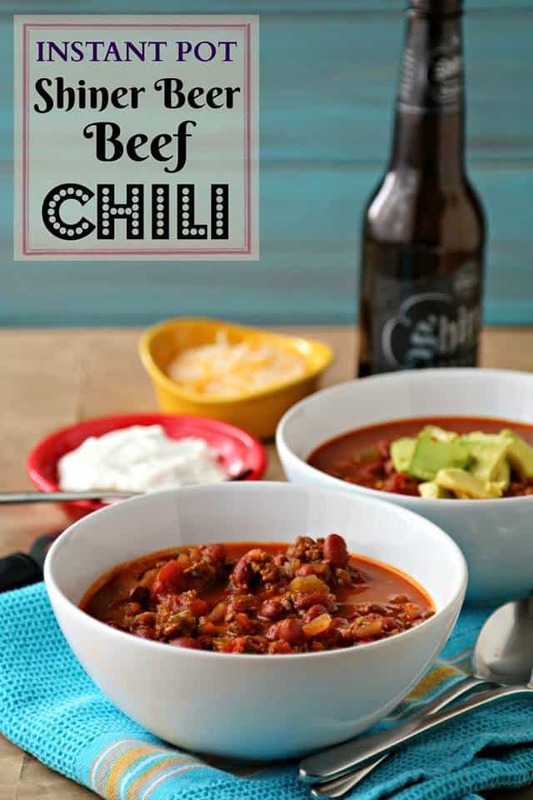 Instant Pot Shiner Beer Beef Chili from Pook’s Pantry. Because sometimes (like Wednesday evenings) you want chili that tastes like it simmered all day but only took you 30 minutes to make. Yup. And if you don’t have an Instant Pot, any multi cooker or electric pressure cooker will do. Or even a stove-top pressure cooker. That’s what I have, and it works great. Enjoy this one in record time. Thanks, Sissy! 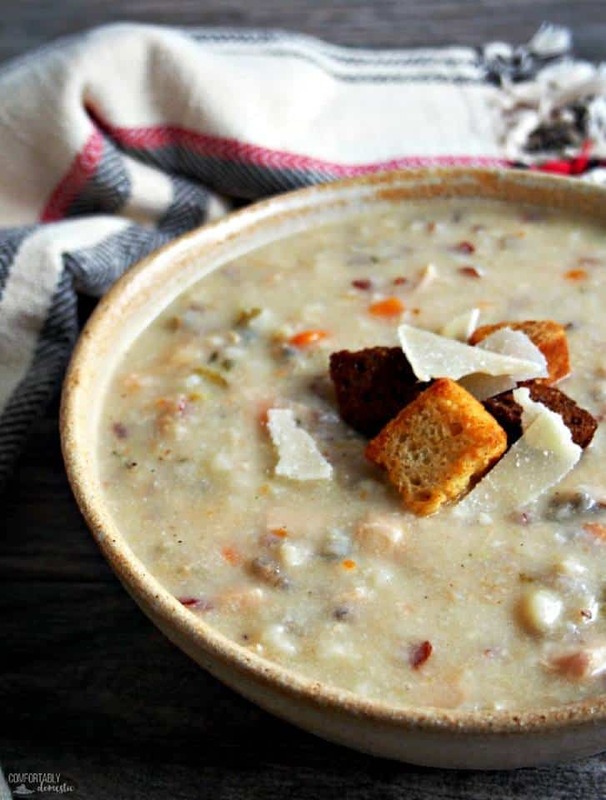 Slow Cooker Chicken Wild Rice Soup from Comfortably Domestic. Another meal that maximizes your time by making use of an appliance. Slow cookers have lost their sheen a bit, but there is no denying the results. Put ingredients in. Walk away for a few hours, and come back to dinner. Kirsten adds all the good stuff like tons of vegetables, chewy wild rice and starch-thickened dairy. Because if you’re going to make comfort food, you may as well go all the way. Yum. Vodka Sauce Grandma Pizza from me. If you’ve never had Grandma pizza, think of it like school pizza, but the most perfectly wonderful version of that. No limp crust here. This Grandma pie’s crust basically frys in olive oil in the pan while the top bakes. You get a crispy, golden crust, a nice light crumb, and the vodka sauce really makes the whole thing. It’s my favorite pasta sauce, and it works beautifully as a pizza sauce, too. Happy Friday! Pumpkin Churro Waffles from Comfortably Domestic. Y’all. Kirsten put pumpkin and pumpkin spice in some waffles. And then she dipped them in spiced sugar. And then she made some glaze for them. And she is now showing all of us how to make them. Have ’em for breakfast. Have them for dessert. Have them with your coffee (or your chai if you’re Kirsten). But make these. Because they just look and sound so good! 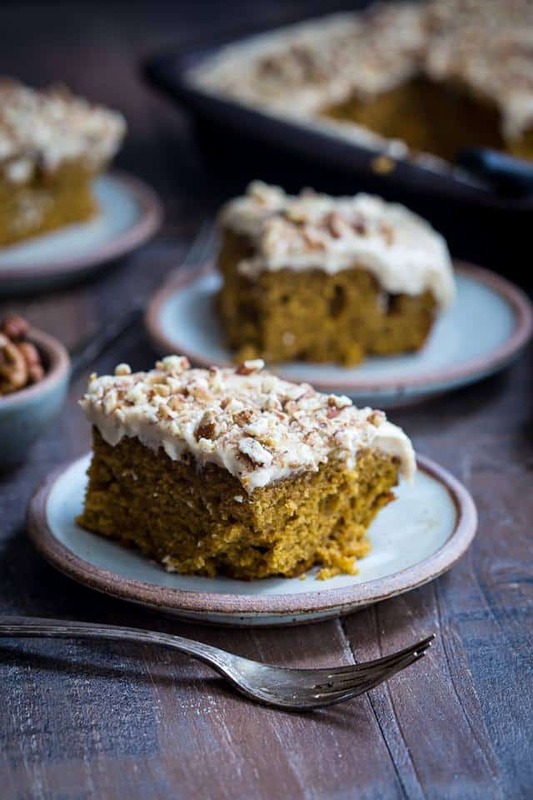 Bourbon Chai Pumpkin Snack Cake from The Girl in the Little Red Kitchen. All those flavors! I love chai spice and pumpkin together–I actually have a dessert on my blog using those flavors. And then bourbon. IN THE FROSTING! Sorry to yell. But yes. 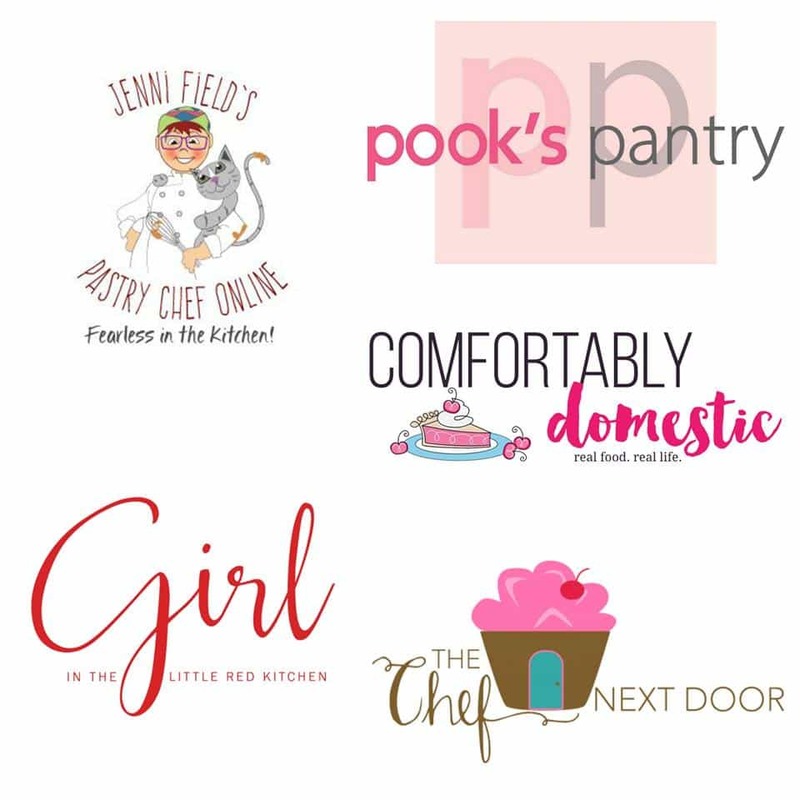 And that brings us to the end of yet another Dinner Divas Weekly Meal Plan round up. I know you’ve gotten some great ideas. I know this because I have gotten some great ideas. Thanks for hanging out with the Dinner Divas. We hope you are enjoying all the weekly meal plan posts and are eating better because of it. 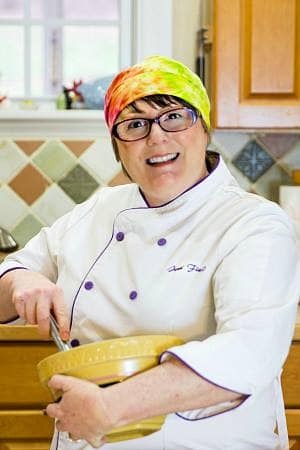 Don’t forget to grab all the recipes in the archives.